Photos courtesy of Chuck Nantz www.g503.com. 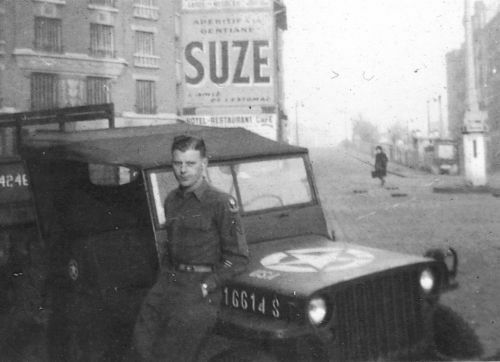 This is a picture of Chuck’s dad “in Paris, Feb 1945. His jeep USA number (registration number) is 20616614 S which would make it late war MB. 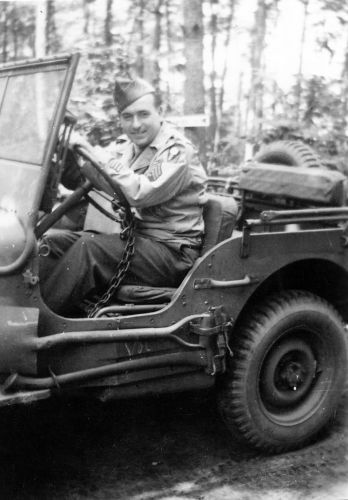 He was in the 3001st Co. 139th Battalion Ordnance Base Automotive Depot. “I always look for his registration number on jeeps in books or videos because he drove over a great deal of France and Belgium.” “I am not sure who this is, but he was in my dad’s outfit. 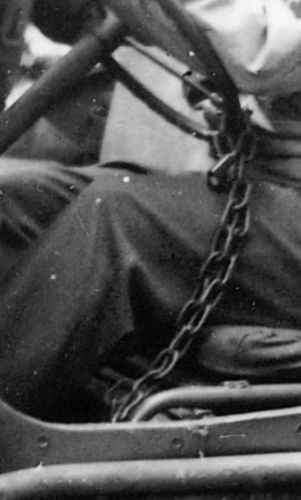 Notice the chain and padlock and the VOL between the axe and shovel handles.” Close up of the chain and padlock setup. 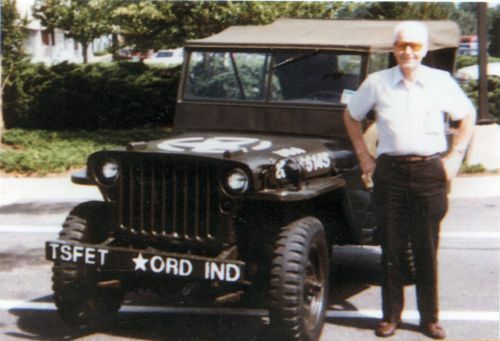 A picture of Chucks dad with his jeep taken just before he passed away. 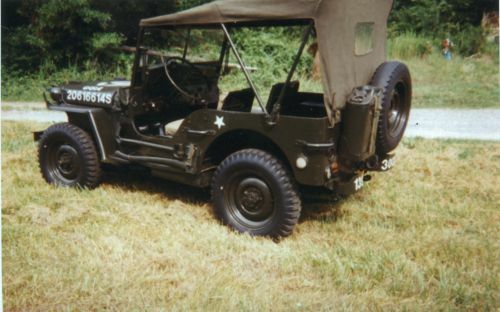 Another shot of the jeep that belonged to Chuck’s dad.